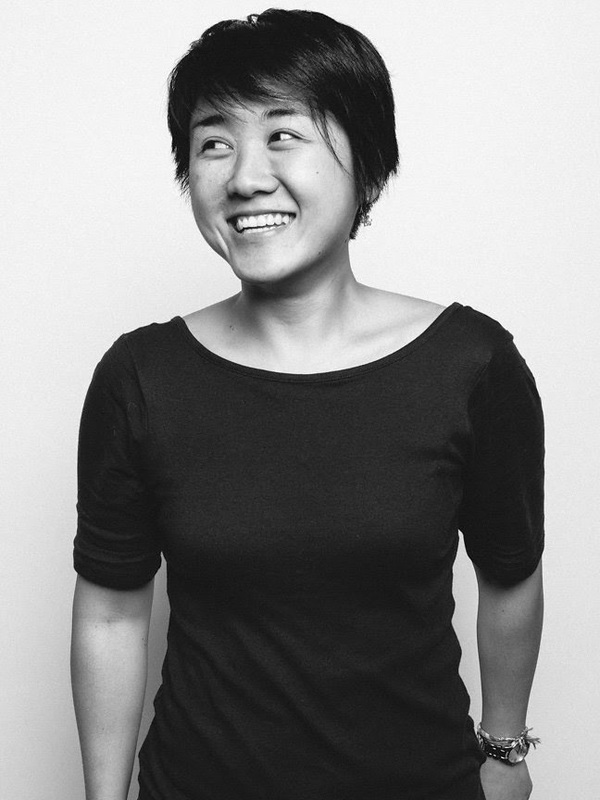 These are some of the quotes I gathered when I interviewed my colleagues at Community Economic Ventures, Inc. (CEVI), a Kiva Field Partner, about what rice means to them. 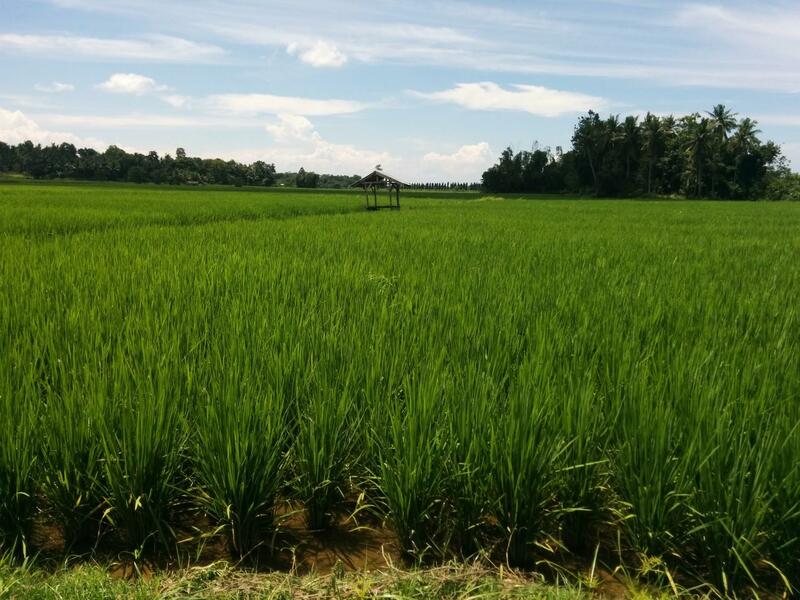 Rice plays a big role in the Filipino culture as well as for most other Asian countries. My dad would be the first one to agree that without rice, he is not full. 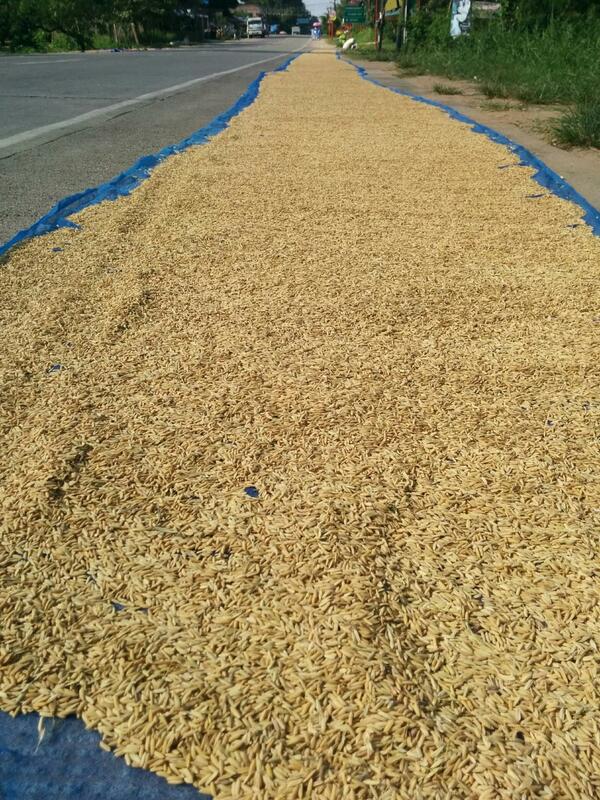 Harvested rice grains being dried by the road. You will see this everywhere in the rural areas of the Philippines. Unlike western cultures, where a cobb salad is often considered a full meal, Filipinos view salads as something that only the wealthy can afford. Let’s be real, if you live in a major city in the United States, a good salad is not cheap. For example, in San Francisco, a salad can cost between $11 to $13, and if you add proteins or extra toppings the price could go up to $16 or even $20. If you go to a small eatery, or "carinderia," in the Philippines, a meal with rice and some meat and veggies costs only 50 pesos or $1. Twenty-one percent of the Philippines’ population lives under the national poverty line of 47 pesos per day (less than $1), and for those involved in hard physical labor jobs, eating salad is not the most sustainable way for their bodies to function. Rice, on the other hand, is a more efficient source of energy and it keeps people full for a longer period of time. Coming from the eco-friendly city of San Francisco, this was something that was bothering me. I decided to ask my colleagues for the reason behind this and everything made much more sense. Not all Filipinos have a job in which a good paycheck is guaranteed twice a month. 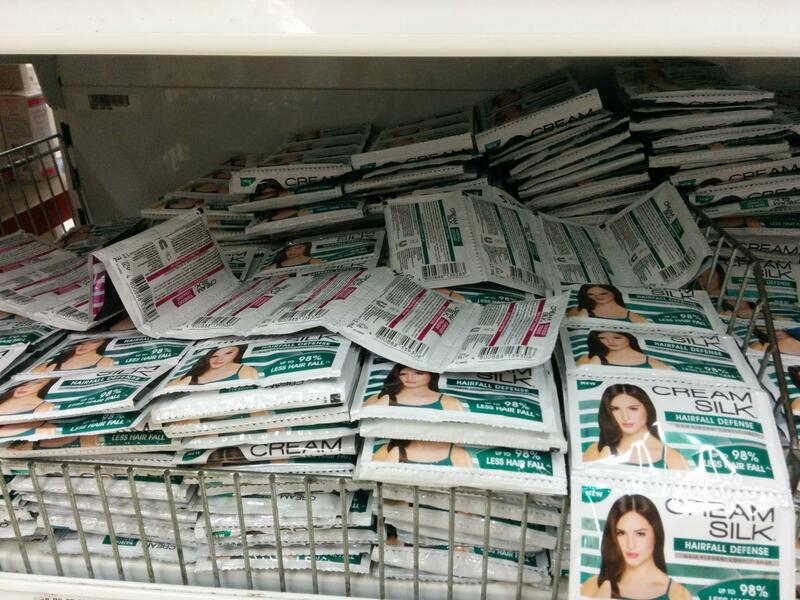 Those who live with a small budget or with what they earn day by day can’t afford to buy a bottle of shampoo for 160 pesos ($3.2), so instead they buy small individually-packaged products that cost 5 pesos (2.5 cents) and will last them about 5 days. However, Filipinos are willing to spend their extra money on rice. Instead of small packages of rice, they will buy at least 3 to 5 kilos at a time. One time, the staff at the supermarket looked at me weirdly when I asked for 500g of rice (I was moving to a new city in couple of days so I didn’t need that much). He told me that I needed to buy at least 1 kilo. I was holding up a line of 10 other people who were all puzzled by my request as well. I eventually convinced the man that I had done this before, so he gave me the rice. 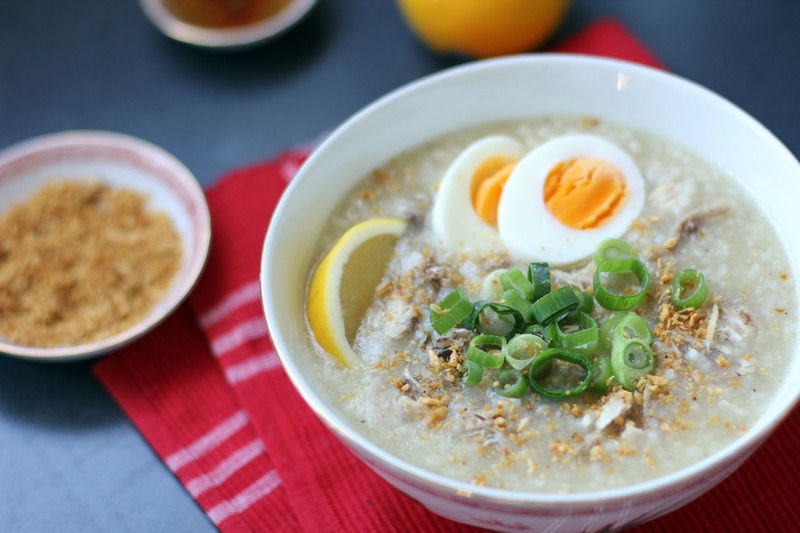 Arroz Caldo: Filipino rice porridge with chicken slices. It's usually served with hard boiled eggs, chopped scallions and roasted garlic. This can be eaten at anytime of the day. 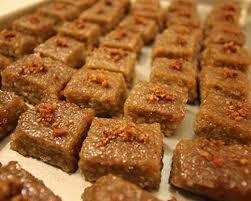 Rice cake made from sticky rice (locally known as malagkit), coconut milk and brown sugar. 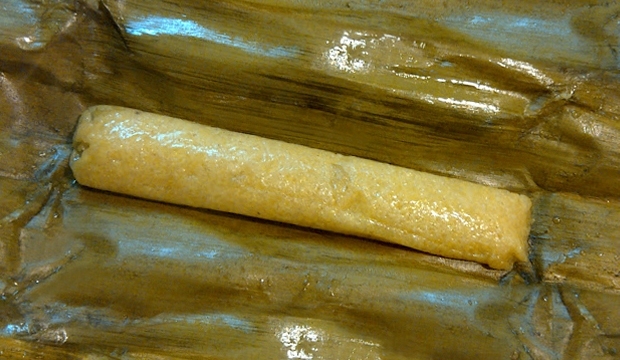 "Bud Bud": sticky rice cakes mixed in coconut milk and salt and wrapped in banana leaves. They are usually eaten during breakfast or as a snack. 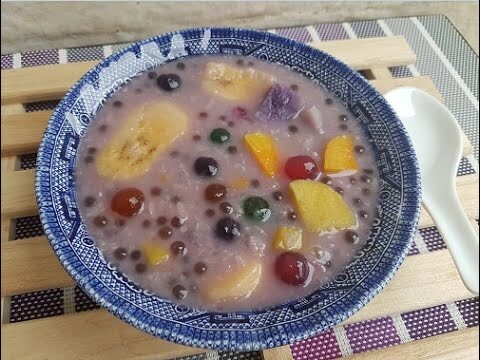 Binignit: a Visayan dessert soup from the central Philippines. 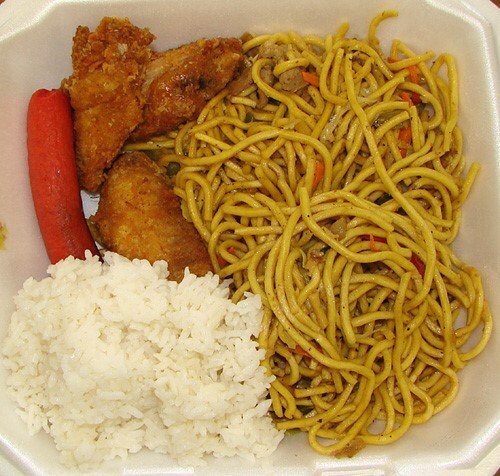 It usually has plantains, tapioca pearls, coconut milk and glutinous rice balls. They are usually eaten as a "merienda" or snack. I think you get the idea. Filipinos LOVE their rice. 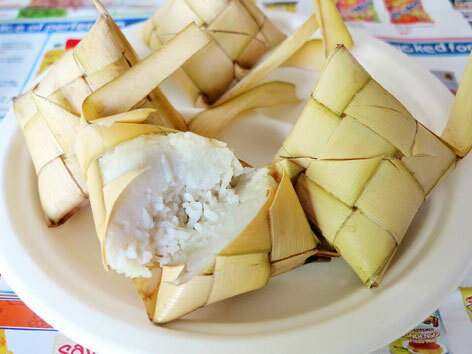 When you come to visit the Philippines, be prepared to try all of these rice-related foods and treats. Also, bring your sweet tooth because Filipinos love their sweets, too! A co-worker once told me that when someone is able to bring rice back to the dining table, it means that the head of the family has made money that day and all of their children will have a warm meal that night. So, next time you are thinking about throwing away that extra rice, think twice. Consider saving it for the next day and use it to make delicious snacks or deserts! Thank you for reading. If you have any questions about any of the food or snacks I mentioned here, feel free to reach out!